What’s better than dimsum? Dimsum with a view! 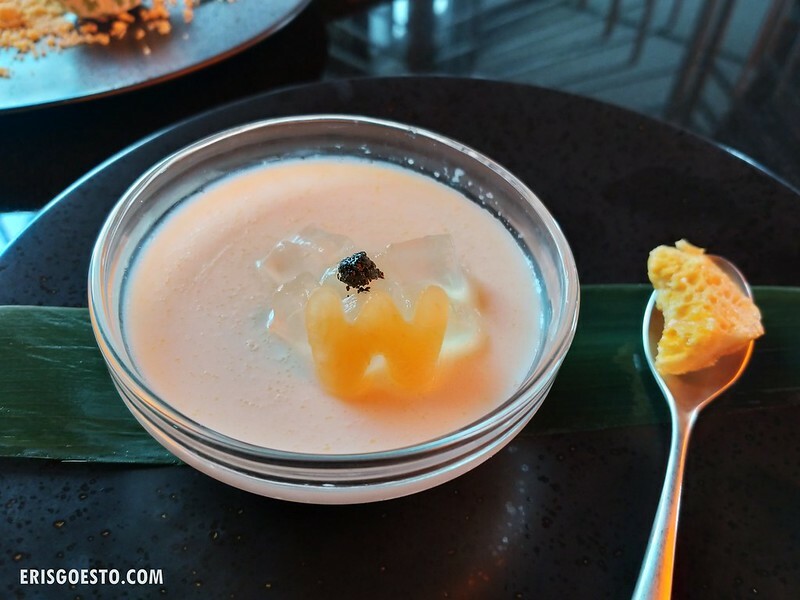 Discerning diners can have the best of both at the newly opened Yen @ W Hotel Kuala Lumpur, the latest addition to the hotel’s culinary destinations. 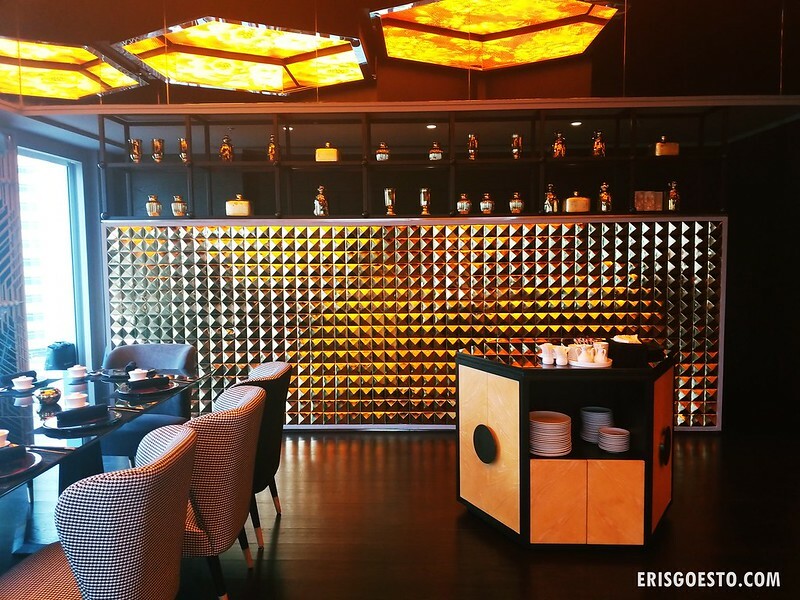 Reinterpreting traditional favourites with a modern twist, the Cantonese resto presents well-loved dim sum fare such as siew mai and har gaw, infused with creative ingredients like foie gras and black truffle. 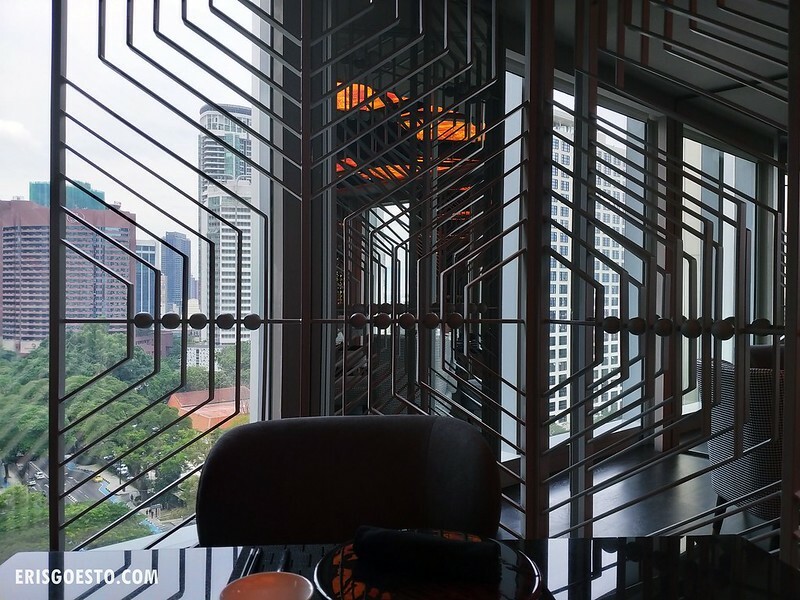 Zoom up to Level 11, where the cosy dining spot welcomes diners with a warm atmosphere, bathed in ambient golden light. 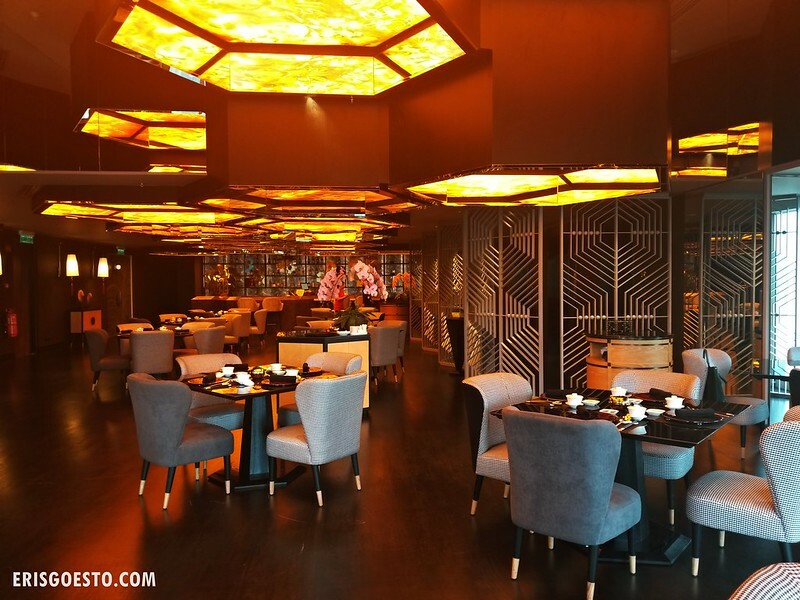 Breaking from traditional reds typical of many Chinese restaurants, Yen boasts a clean and modern design of black and grey, wood and metal. 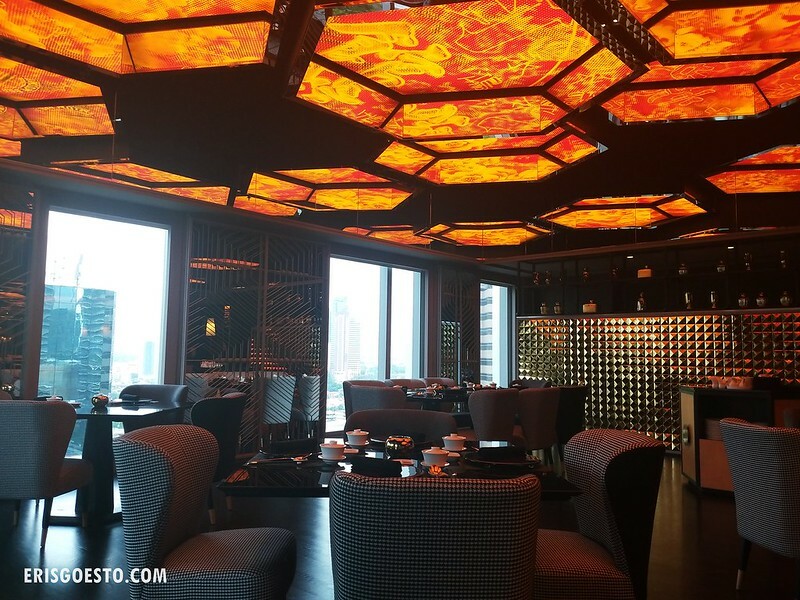 Of particular note are the unique honeycomb-shaped ceiling panels and dining dividers. 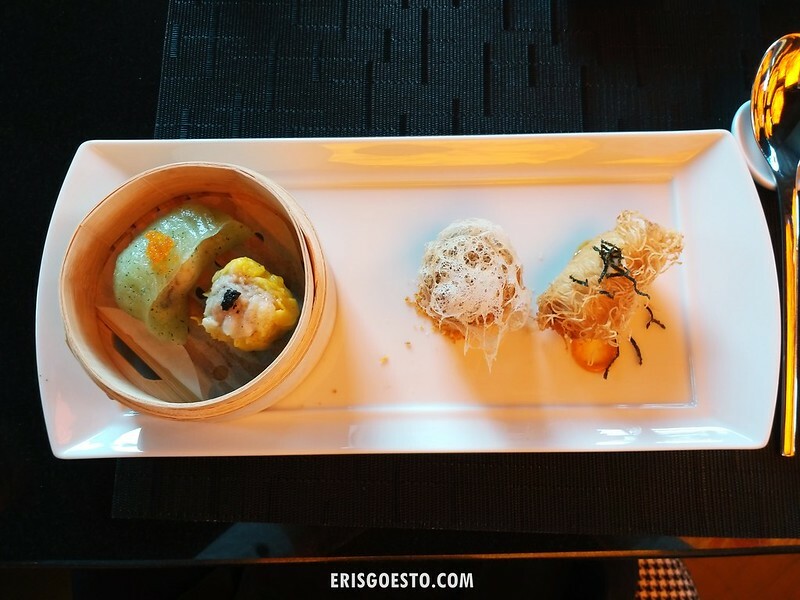 Start off with the steamed goodies: Sarcodon Asparagus Prawn Dumplings and Chicken Siew Mai with Black Truffle. The flavour of asparagus was subtle and refreshing, while the chewy green skin was the perfect texture and thickness with the smattering of fish roe lending everything a salty burst. 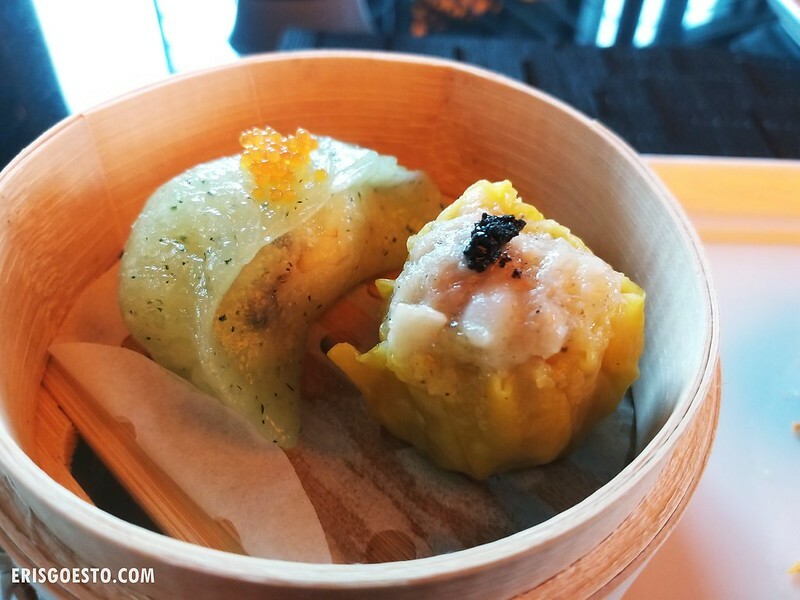 The chicken siew mai was excellent as well, with bouncy, tender meat and the truffle providing a savoury, earthy aftertaste. 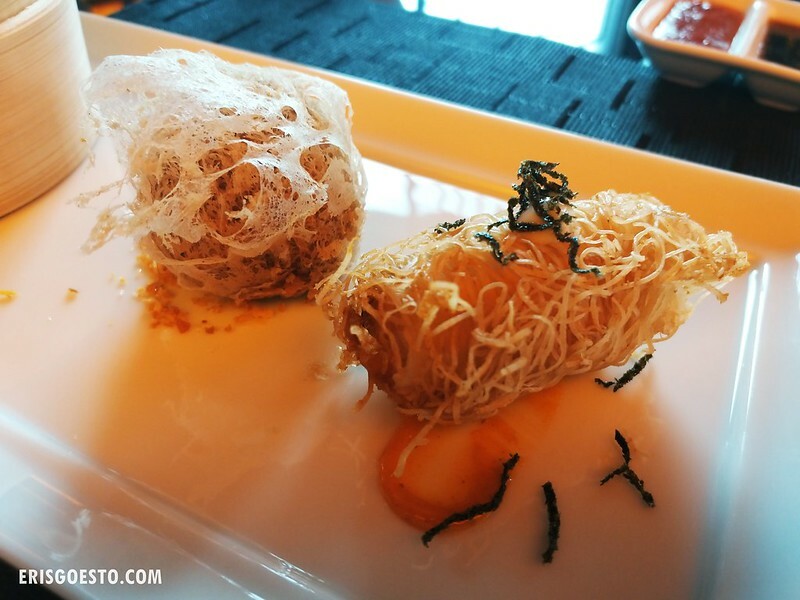 Fried dimsum lovers will enjoy the Crispy Yam with Foei Gras and Chicken, as well as the Cod Fillet with Chilli Padi Cheese and Spicy Sauce. I particularly liked the latter, with its crunchy exterior enveloping tender, sweet fish on the inside. The chilli padi cheese gave it a spicy, creamy kick without overpowering the dish. Good stuff! The Yen daily soup changes according to your visit. 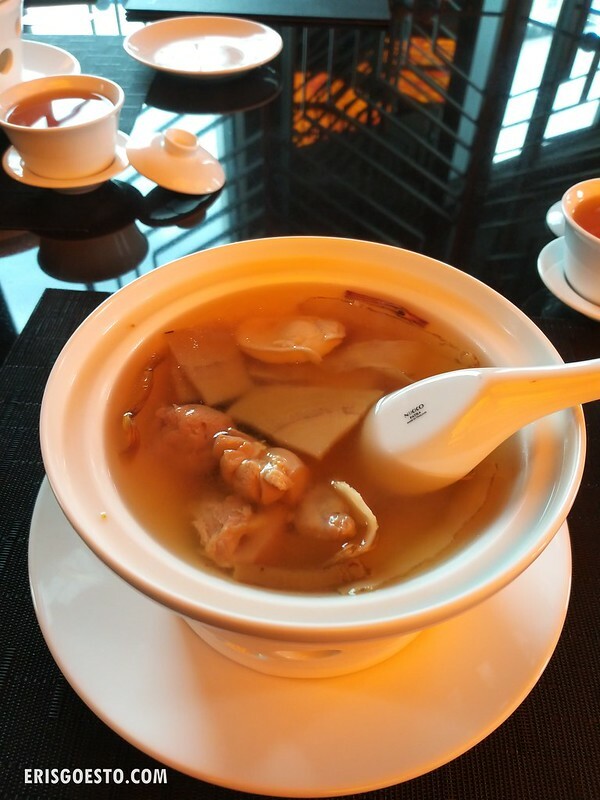 During our review, we were treated to a nourishing, lip-smacking bowl of chicken, abalone and various Chinese herbs. 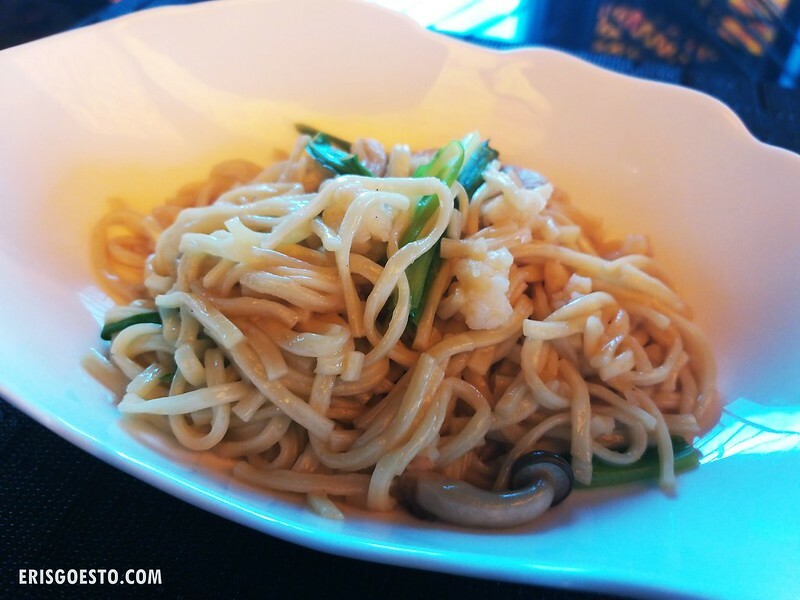 Carb lovers will be glad to know that the set includes Stewed Ee Fu Noodles, with Minced Prawns, Mushrooms and Dried Ground Flounder. The silky smooth noodles, coated in a rich savoury sauce, slips down the throat almost effortlessly. 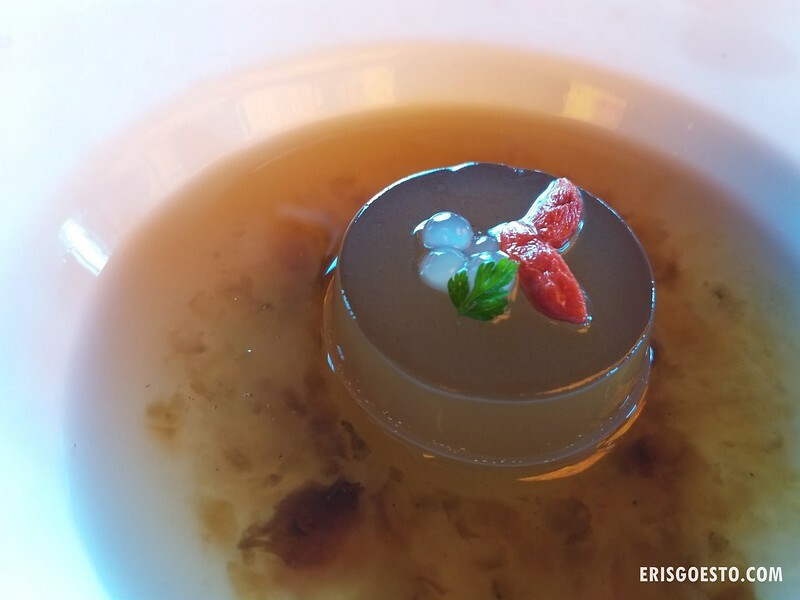 Round off the meal with a refreshing Lemongrass infused Ai-Yu Jelly, Natural Peach Resin and Yuzu Pearls. 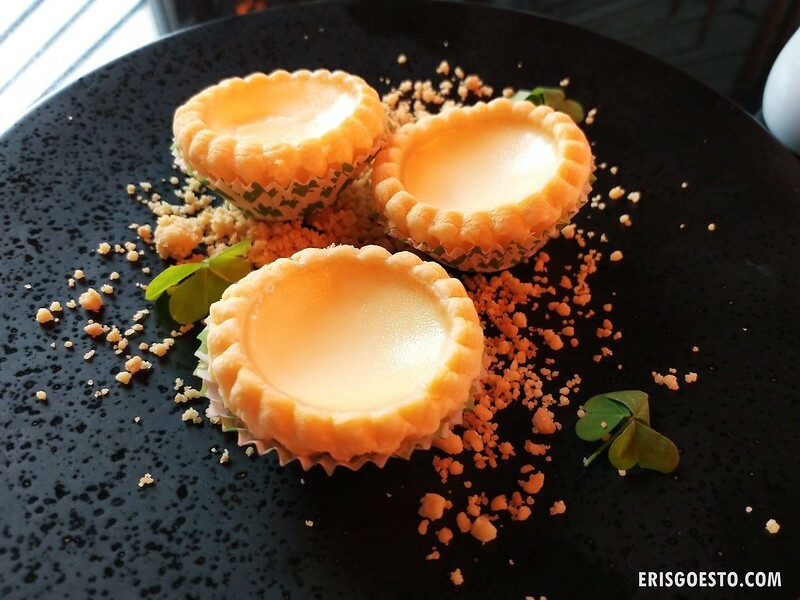 We ordered extra desserts: these tiny egg tarts, made with egg whites, were gone in seconds. The ultimate dessert. Like nothing I’ve ever tasted. 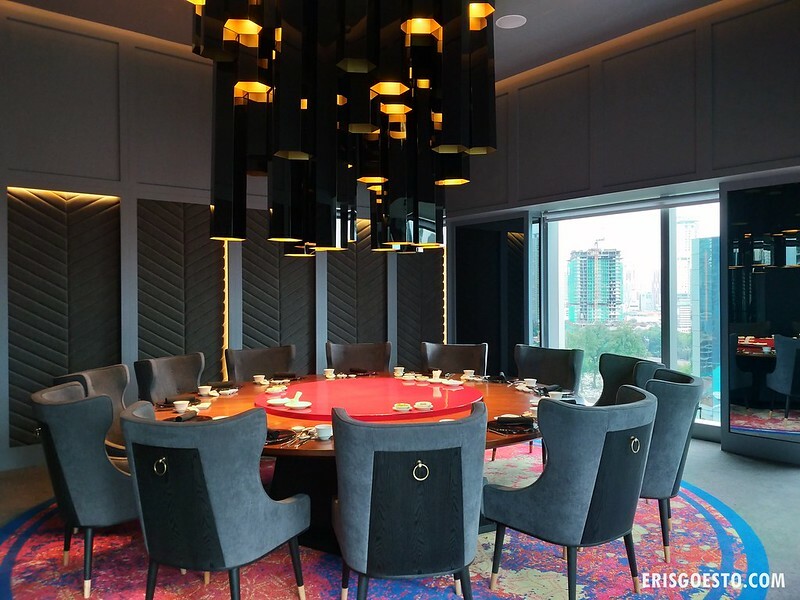 Yen has a seating capacity of 50 in the main dining area, with five private dining rooms that can seat up to 12 pax. Some of the rooms are equipped with their own toilet and pantry. 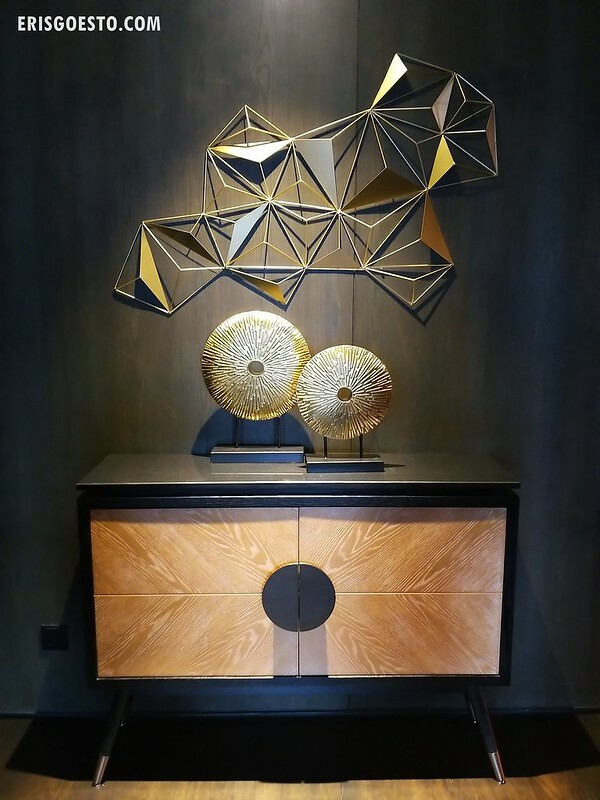 Level 11, W Kuala Lumpur, 121, Jalan Ampang, Kuala Lumpur, 50450 Kuala Lumpur, Malaysia.